May 05, 2005, Sauerland, Germany -- From the frenzy of media interest over the past few days, the latest GoldenPalace.com winning eBay auction is easily one of the most phenomenal events in Internet history. The item that shattered all eBay records by incredibly receiving over 8.5 million visitors to its auction page was Pope Benedict XVI's previously-owned 1999 Volkswagen Golf. The holy car now belongs to the casino for £188,938.88 (approx. $244,590.83 USD). 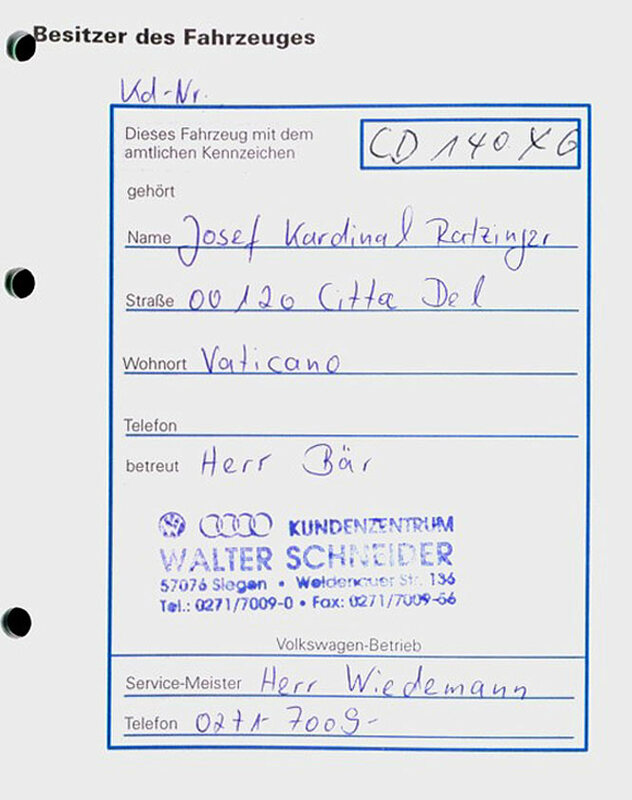 A few months before being elected head of the Catholic Church, Pope Benedict XVI (then Cardinal Josef Ratzinger) decided to sell his six-year-old VW Golf. The vehicle had been imported from Germany to Rome in 1999. Without knowing the car's history, Benjamin Halbe, 21, bought the Golf this January. 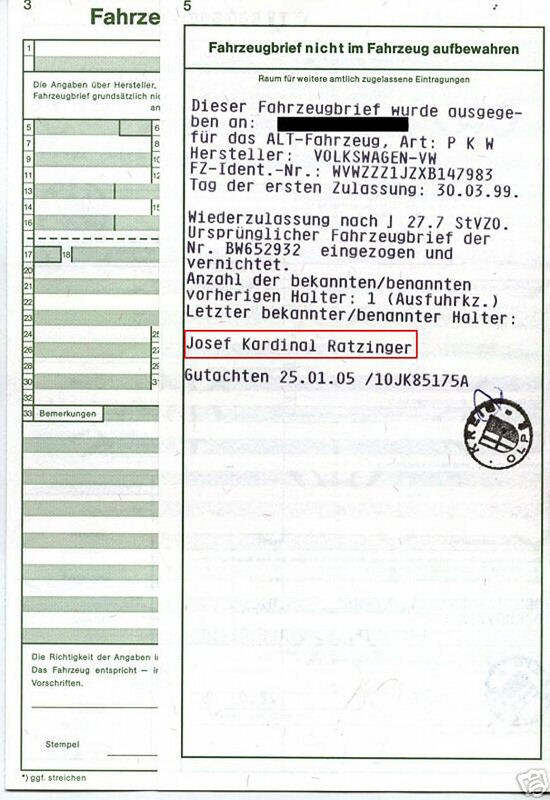 It was only when Halbe obtained the car's registration documents confirming Josef Ratzinger as the former owner that he realized the truly blessed nature of his purchase. When Halbe listed the car on eBay last week, the reserve price was £9,999 - the same amount he paid for it. By Saturday, offers had already exceeded £45,000 and kept increasing dramatically until GoldenPalace.com's winning bid. "GoldenPalace.com is delighted to own this holy vehicle," said GoldenPalace.com CEO Richard Rowe. "We have amassed a collection of what many consider to be holy artifacts. It seems only natural to get a blessed vehicle to carry these items. We are planning to showcase our acquisitions by bringing them on tour and allowing people to enjoy the experience of sitting in the divine car, in an effort to raise as much money for charity as possible."